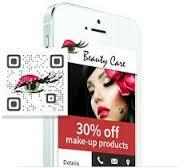 Quick Respond Codes, also known as QR Codes, are 2-dimensional barcodes that are interpreted by a Smartphone’s camera. A smartphone is used to decode the QR code and it should be equipped with a QR code scanning application. Once you have scanned the QR code, you will be able to get the information embedded in the code Example, if a URL has been encoded in the QR code, you will be able to retrieve it and even maybe be redirected to the website it links to in a matter of seconds. While some people still find QR codes to be relatively new,they have been around for over twenty years. Looking at the growth potential of these 2D codes, it is quite clear that they are game changers. You have probably heard of the many different ways quick QR codes can be used to enhance a business’s image and ultimately increase its bottom line. Now, you will get to learn of the many other different ways of using these 2D codes and also how to deploy and create your own codes. You can print QR codes on your t-shirts. Embed your social media profile to these codes. So, whenever a person scans the code, they will be redirected to you page or will have automatically followed you on Twitter or liked your Facebook page. On foods: You can design a QR code on your baked foods. Simply draw out the QR code on your cake or any other food. On grave stones: These QR codes can be printed on a grave stone and embedded in the code is a video of the life of the deceased. There is a golden rule when it comes to QR codes and it states, you should share whatever is worth sharing. Even so, that statement is relative as different people view different things to be worth sharing. Just share whatever it is you want to share but make sure that you place the QR code somewhere where people will be interested in the information you are giving. There are several websites that can convert a URL to a QR Code. Once it has been converted, the QR code’s image file can be downloaded and attached to a person’s e-mail signature. Therefore, whenever you send an e-mail to a person (it could even be a client), s/he will be able to see the QR cod and when they scan it, they are able to be redirected to your business’ website or get more contact details about you. It all depends on what you embed in the code.